Syria’s inclusion on a United Nations human rights committee meeting this week has sparked outrage from observers who argued it is hypocritical to welcome a regime that has murdered thousands of its own citizens. Syria is an elected member of the executive committee of the United Nations Educational, Scientific and Cultural Organization (UNESCO). The body, which deals with human rights issues among other subjects, is meeting this week in Paris. David Killion, U.S. ambassador to UNESCO, told U.N. Watch, an oversight group, "the Syrian regime’s actions are an affront to the dignity and human rights of the Syrian people, and it is not fit to sit on this body." "It is indefensible for the Syrian regime to be allowed to stand as a judge of other countries’ human rights records while it systematically violates the human rights of its citizens, commits acts of sexual violence against women and children, and murders its own people," Killion said. 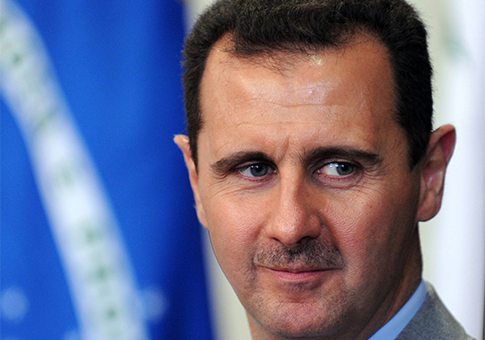 More than 70,000 Syrians have been killed in a years-long civil war aimed at toppling President Bashar al-Assad. A UNESCO spokesman did not immediately respond to a Washington Free Beacon request for comment. This entry was posted in National Security and tagged Bashar al-Assad, Middle East, Syria, UNESCO, United Nations. Bookmark the permalink.